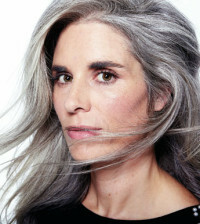 75% of women constantly change their hair color. They do it on their own or at a hairdressing salon. So it is worthwhile to learn about the rules thanks to which the procedure of colorization will be more effective and the result long-lasting. Let’s change our hair shade by 2-3 tones. This will always work with dyes intended for domestic use. If you follow the instructions for a dye for domestic use, you can change, for example, from a red-head into dark-haired without any problem – on your own, at home. Whereas radical changes, such as intensive bleaching, should rather be left in hands of a professional – a hairdresser. 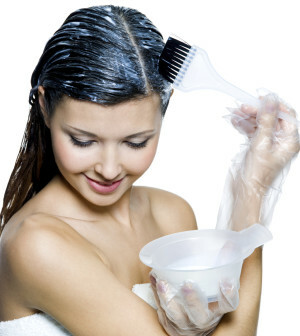 If you suffer from dandruff, try to wash your dyed hair only close to the skin, wash the rest with another shampoo. Anti-dandruff shampoos cause quick color tarnishing. Before summer starts you’d better gave up dyeing your hair to intense ginger or red. Red colorants oxidize exceptionally fast and they lose color even after 2-3 washings. For bleached hair using cosmetics with UV filters is necessary. Melanin contained in hair is a natural protective filter, and fair hair is almost completely devoid of it. After dyeing to a bright tone, such as ginger, red, black, brown, golden blonde, you must wait for 3-4 days before you apply a nourishing mask for the first time. The thing is that the dye color should become established. Sometimes the mask’s ingredients react with the dye’s components and the color may be quickly exhausted. You must limit aggressive procedures, such as straightening. Dyed hair doesn’t like it. We rinse it in tepid water. Good cosmetics with lowered ph, e.g. with fruit acids. Few drops of vinegar or lemon can be added to the final rinsing . Acidified cosmetics nicely intensify the tone of dyed hair. 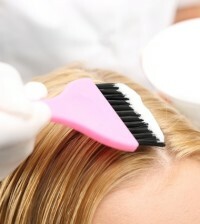 The procedure of straightening with the use of a hairdresser iron will draw out a deeper tone of dyed hair. When you dye damaged hair yourself, choose a dye with a special conditioner that smoothes the surface of damaged hair. Thanks to this color will be spread evenly. A resolute change of color should be performed through highlights. During the next three visits your hairdresser will select the ratio of colors in such a way that you will go smoothly from blond to brown or vice versa. In order to control the roots, you may do highlights only on top of your head. 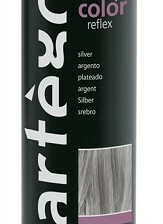 The advantage is that thanks to this you avoid unnecessary layers of a dye applied over old highlights. Do not keep the dye on your hair. After the optimal period of time indicated on the package the mixture loses its chemical activity. How to come back to your own tone? If your hair has intense color, such as red, violet, black, etc., the healthiest for hair would be to cut it short. Non-dyed hair will grow back in good condition. Dyed hair should be treated with styling cosmetics intended for it, a shampoo and a conditioner protecting the color against fading.